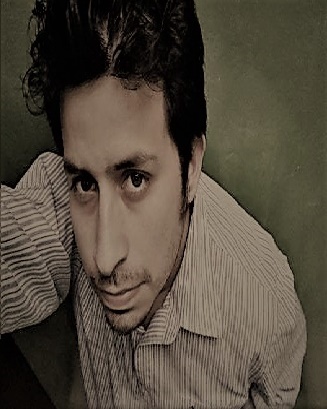 Robinson Fowler is an American and Peruvian writer of Science Fiction, Horror, Drama, Short Horror, Fantasy, Epic and Children Stories, who was born in, Peru, on 1987. He attended his first education at the Jose de San Martin National School, then, on 1999 he followed his studies at the School Dante Alighieri, where he discovered the stories, in his hours of happy reading, of the writer Julio Ramon Ribeyro, to which he took as a great reference and inspiration of his writings, together with the poet and writer Cesar Vallejo. Between the years 2004 and 2006 he dedicated himself to study all about of editorial design, where he consolidated his knowledge in the beautiful art of the layout and editing of texts in the different editing programs of texts at the Institute of Graphic Design and Editorial PICASSO. On March of 2006 he began studies at the Institute of Computing and Informatics, Leonardo Da Vinci, which concluded in the year 2008; year in which he began to give himself to the letters fully, writing several stories on his personal blog, which he erased following the advice of his mentor. Those stories were scary, genre that passionates him since he has use of reason. Since the year 2008 he worked as a Web designer and programmer of desktop applications at the company HN Connection (HNC), a partners company, delivered to the computer in both arms: Hardware and Software, but his true vocation was marked. He kept writing compulsively not only Horror Stories, but also Drama Stories, Children, he never stopped in his dream of being a writer. On October 2012 decided to study Industrial Engineering at the Engineering University, a profession with which he felt identified and absorbed many knowledge about doing business, thus retaking the business with his colleagues/partners of the company HNC, and thus achieving internal improvements, such as the distribution of computer accessories to their customers and the quality of service of their employees regarding customer satisfaction. On the year 2012 began its work at the company of Industrial Plastics, CODIPLASTICS MAX as logistic assistant, in which, to the 2017, still continues with his tasks as Logistic Supervisor, is that he decides to retake his true passion: the writing. With a business with his partners and working in this new company, he decides to give himself to the literature at one hundred percent. His true passion. He currently has three books published in the world's most popular e-books retailers. These three books are his first writings -- short horror stories -- but they aren't the only ones. He has written a Trilogy which he hopes to finish soon to edit it. He has also written a satellite book to be able to understand his Trilogy: The Mirror. The Mirror. Continuing to contribute to the world of Literature is his greatest desire in life. And it's already started.